Black and White Camouflage curtains. Made from a cotton/polyester blend material. Includes 2 tie-backs. Curtains are sold as 2 panels. Each panel measures 42” wide x 84” tall. 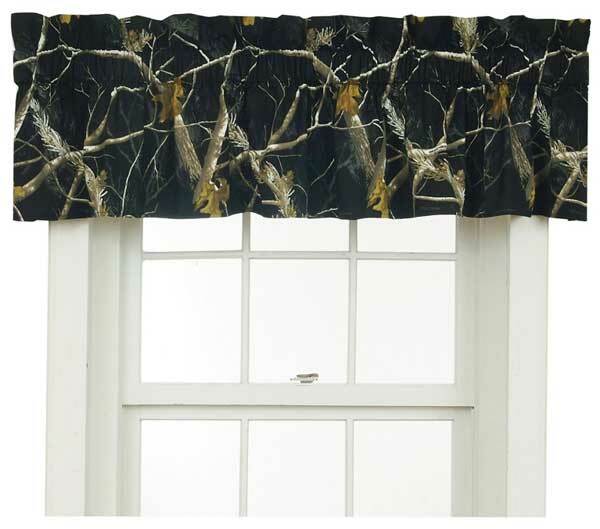 The valance measures 88” wide x 18” tall. Proudly made in the USA! 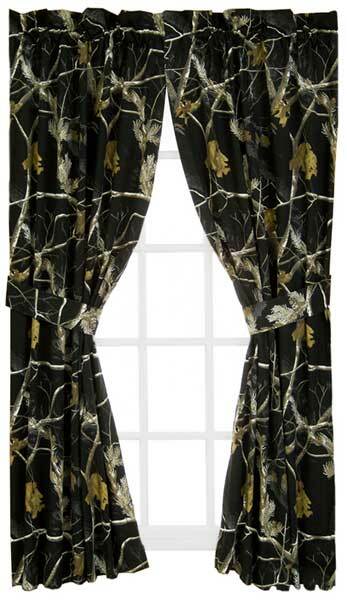 Black and White Camouflage Designer Window Curtains Includes 2 Curtain Panels.